¡ DESCUBRE LAS VENTAJAS DE MATRICULARSE ANTES DE FIN DE MES! This program is designed to develop and fine-tune the skills you will rely upon throughout your careers: communication, teamwork, reporting, analytics, public speaking, entrepreneurship, etc. The International MBA is targeted at university graduates who are looking for in-depth preparation for the job market or who are planning to take up management positions and need to articulate structured concepts around the various organizational processes and areas in order to develop and hone the management skills and leadership criteria needed to take ‘strategic decisions in competitive environments’. International MBA students are offered the chance to do work practice at companies at the end of their studies as yet another part of their Esden Business School experience. To this end, Esden Business School has a dedicated Work Experience and Job Exchange Department which will analyze your interests in order to offer the best match in terms of work practice. These assignments last between three and six months and constitute a highly-recommended way of putting the knowledge acquired during the academic program into practice. This is a full-time program which makes extensive use of the case study method. Direct contact with our expert professionals is undeniably a means of channeling experience and proves highly didactic. In order to make the most of the in-person lectures, students must study the documentation given to them before class so that they can attend their lectures having already acquired the related knowledge. All International MBA students specializing in Digital Business will attend an international week-long session at the London School of Economics and Political Science, one of the world’s most renowned universities in the field of economic science and executive training, as part for their academic programs. This week of immersion takes place at the end of the academic year and is taught by prestigious LSE professors. The academic content is rounded out with visits to leading companies based in the City. You will also be given the chance to go coolhunting around Milan in the company of teachers considered expert in the field. The faculty is made up of renowned, practicing professionals with proven skills teaching and transmitting learning. Employees, consultants and directors of sector-leading international companies such as Electrolux, Detector, El Corte Inglés, Campofrio, Shiseido-L´Oréal, UBS, CaixaBank and Havas Media, among others. A post-graduate degree is one of the best investments you can make from a career and personal perspective. At Esden Business School we don’t want tuition fees to be an obstacle, which is why we operate a sizeable program which grants and manages over €1 million of scholarships. We have also secured agreements with financial institutions and government organisms with a view to offering preferential financing terms. Esden Business School runs a Permanent Scholarship Program within the school and also manages scholarships made available by affiliate companies and non-profit organizations (foundations, public bodies, etc.). Scholarship applications should be submitted in parallel with the program application form and in any event before the course begins. The Scholarship Committee meets weekly. Although it may request additional information from the applicant, the Committee usually takes its decision within a period of 7 to 10 days. 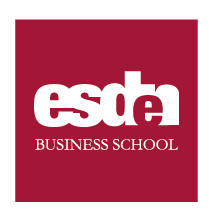 The Scholarship Program changes from year to year; however Esden Business School does directly manage and offer a permanent fund to which anyone can apply. Scholarships are awarded at the discretion of the Scholarship Committee which bases its decisions on well-substantiated application forms underpinned by merit-worthy academic records and, of course, applicants’ economic and financial circumstances.